Kyrylo Shevchenko, CEO at Ukrgas bank shares his insights in the bank’s transformation into the leading provider of mortgage loans, probability of the real estate market collapse and the odds of apartment loan rates decreasing. Alexander Sukov: Why was Ukrgas bank selected to launch 70/30, the government mortgage program? Kyrylo Shevchenko: First of all, it is quite obvious that a state bank should be chosen to launch the program developed by the State Fund for the Promotion of Youth Construction. Second of all, Ukrgas bank is one of the top mortgage providers. Our mortgage programs offer interest rates that are flexible and affordable for Ukrainians. Lastly, we have the largest number of affiliate programs with property developers put in place. Most importantly, these companies can be trusted as they are pre screened by the bank. 30% government compensation coupled with simple terms and special programs offered by Ukrgas bank will allow 200 to 300 families to purchase their new homes this year. We can arrange the government compensation to be recognized as the down payment. The next step is to pay interest which will cost new owners a lot less than renting an apartment. Alexander Sukov: Are mortgages popular among Ukrainians? Kyrylo Shevchenko: I think that the strong home ownership need Ukrainians experience stems from their mentality and culture. You wouldn’t find the same in Western Europe: a German is comfortable living his entire life in a rented apartment. However, for us, owning a home would always be the top priority. According to our estimates, 50% of Ukrainians are in a need of housing or better living conditions. That’s a lot, for sure. There’s no better solution to this problem across the entire world than a mortgage. However, clients today face a significant constraint: a high interest rate. That’s why we offer loans under affiliate programs for which the rate starts from 5% per annum in UAH. In December 2017, we provided almost 100 mortgage loans worth more than UAH 35 million. According to our stats, Ukrgas bank issues 40 housing loans per month. I don’t think that’s a lot. Still, even this result required a considerable amount of effort on the part of the bank’s employees and our partners. Additionally, demand is influenced by external factors. For example, once the devaluation of hryvnia begins, demand increases and vice versa. Alexander Sukov: Why doesn’t the government lower the interest rates, if as much as 50% of Ukrainians are in a need of housing? Kyrylo Shevchenko: In 2017, Ukrgas bank lowered the interest rate twice. We are very much open to further lowering the rate. However, there exists a direct correlation. Until we pay a 13.5% for the deposits, we would not lend for less than 13.5%. Once the bank will pay 2% for a deposit, mortgage loans will be available at 3-4%. Additionally, as long as high inflation in the country persists, attracting more clients to deposit their money at a rate below this level would remain very challenging. So it is important for everyone to understand that deposit and loan rates are interconnected. Alexander Sukov: What criteria have you put in place to screen property developers? Kyrylo Shevchenko: As of now, we have partnered up with 30+ property developers. We are very scrupulous in screening our affiliates because their reliability directly affects the safety of our clients. We do not work with developers who put their facilities on hold, the ones with poor experience in successfully completing their construction projects as well as those who fail to provide us with complete documentation or struggle with poor financial performance. This is an enormous social responsibility. Our affiliates are well-known market leaders such as Kyivmiskbud, Ukrbud, Intergal-Bud. Locally, we also cooperate with regional property developers. Alexander Sukov: What exactly do housing loan programs offer? Kyrylo Shevchenko: The minimum contribution a homeowner is required to make in the primary market is 30% of the cost of a home. The existing conditions are quite flexible. We offer both fixed rates for the entire year and differentiated ones. We actually offer a great variability: rates from 5% per annum in UAH, an affiliate program with Kyivmiskbud from 7% per annum, and other programs from 12%. Our standard rate equals about 18.9% per annum. 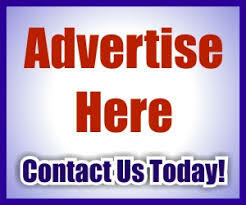 We are able to offer such flexible rates thanks to our affiliate programs. On the contrary, other banks are not able to offer such rates. The loan period is 20 years. According to our statistics, the average lifespan of a mortgage loan is typically up to 10 years. As of now, we rarely issue loans that cover 70% of the cost of housing. Typically, people seek loans for a much smaller amount. As the state bank, we find another thing very important: when calculating a loan, we only take the official income of the borrower into account. If a person has other sources of income he or she is not willing to disclose to evade paying their taxes, we will not issue a loan. Therefore, we perform another important function: helping to eradicate the black market. Alexander Sukov: Did you create a forecast with regards to the mortgage trends for the new housing? Kyrylo Shevchenko: Today, there exist sufficient demand and purchasing power. People want high-quality housing: comfortable backyards and well-kept premises and playgrounds. I don’t think there’s a risk that the market would collapse. Price correlation is always possible but it does not necessarily leads to less lively demand and increasing number of empty homes. In Ukraine, we only have fixed rates. On the contrary, across the world, mortgage loans have floating rates. Depending on the current economic situation, rates can be decreased or increased. This is a progressive mechanism but it is too early for Ukraine to adopt it. Speaking of the loan period, one shouldn’t expect anything longer than a 20-year increase in the near future. Likewise, the lending currency is unlikely to change soon as currency risks still pose a significant threat. Alexander Sukov: Ukrgasbank is the only bank in Ukraine with the environment protection focus. Can you see any trends in the construction of new eco-friendly housing evolving? Kyrylo Shevchenko: Today, there is a variety of energy-efficient construction technologies. If a house is not energy efficient, utilities costs can run very high. The majority of the affiliates financed by Ukrgas bank dedicate particular efforts to boosting energy efficiency by various methods: insulation of facades, installation of energy-saving windows, hot water supply complexes, heat points, etc. At Ukrgas bank, we offer much lower interest rates for these loans. Ukrgas bank is also an absolute winner among the state banks in terms of installing energy efficiency equipment. We also offer a unique program for homes: installation of heat pumps and roof solar panels for only 0.01% rate for up to five years. Additionally, Ukrgasbank was able to make a real breakthrough in the renewables industry in 2017. Every 3rd MW of the “green” energy in Ukraine last year was produced by Ukrgasbank. Alexander Sukov: Has financing renewables evolved into a popular program among banks? Kyrylo Shevchenko: Since the beginning of our cooperation with IFC, 72 large-scale projects have been implemented, and the total amount of clean electricity is expected to exceed 990 gigawatt hours per year. This is enough to meet the electricity needs of all inhabitants of the city of Mykolaiv every year. Novotroitsk wind farm with a capacity of 70 MW in the Kherson region was a truly grand project as this wind farm is expected to become one of the three most powerful projects of the kind in Ukraine. Also, as part of our cooperation with the Ministry of Ecology and Natural Resources of Ukraine, we have begun our work with 100 enterprises that cause the greatest air pollution. We have already issued an eco-loan to Zaporizhstal, the largest metallurgical company in Europe. Following the installation of modern equipment, harmful emissions will be reduced by at least 20% which will significantly help the environment protection of the industrial region. Alexander Sukov: The National Bank’s data shows that Ukrgasbank is the fourth largest bank in terms of assets among 88 active Ukrainian banks. What was it that made it possible to achieve that? 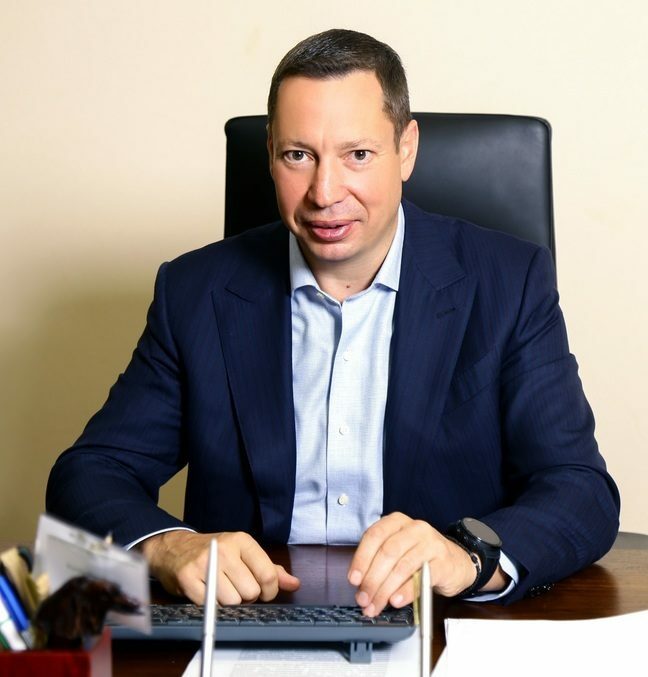 Kyrylo Shevchenko: Indeed, as of January 1 2015, we ranked 17th and held a market share of less than 2%. Now we have grown to reach the 4th position and a market share of up to 6%. To reach this position, we had to transform a lot of processes and we know that bold positive changes bring great results. Since 2015 and onwards Ukrgasbank is the only state bank that did not require an increase of authorized capital. For the past three years, we have not succumbed to using budgetary donations. The bank’s authorized capital is replenished of its own profits. In 2017, these amounted to over UAH 620 million.